John Perkins original book, “Confessions of an Economic Hitman” and his current book, “New Confessions of an Economic Hitman” brought to light some of the strategies the US has used over the years in order to gain control of foreign reserves that American companies may want to seize, such as oil. According to Perkins, the method of achieving this end was to use external consultants such as the one he worked for. They would arrange large loans for those countries via the World Bank and its partner organizations. However, the governments in question never received the money. Instead, the money would be transferred, directly or indirectly, to American companies, including construction firms like Halliburton or suppliers like General Electric. These American entities would then launch infrastructure projects which may have included power grids, or industrial parks and highways. These projects generated huge profits. However, not surprisingly, those profits went to the American companies and a few rich local familes. In the end, these countries that were already weighed down by huge debts just saw their debts grow larger, which in turn pressured the already poor and middle class. Typically, a developed country with a dictator that sits on a perch makes for a soft target. Dictators are often propped up by failed systems like corrupt police force and military. They are usually the most eager to redeem their images so if you can take photos with them signing agreements about huge infrastructure projects it will help soften their soiled images. Therefore, they are happy to stand on the podium and tell their ill-informed, semi-literate populace about the development the government is bringing to their country. As an example, in the 70s, large loans were provided to build a power grid in Panama. The real goal was to force the then Dictator Omar Torrijos into a situation where he owed the US a lot of money in order to have something to blackmail him with because at that point, his bankrupt country would be beholden to them. As Africans would say, you hold both the yam and the knife. 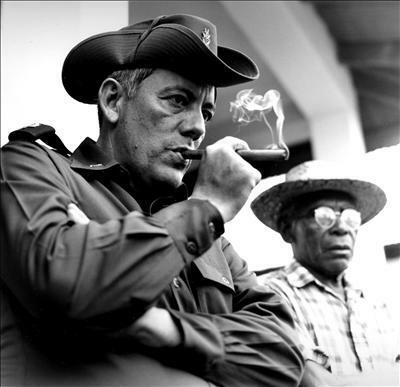 In 1977, Torrijos signed a deal with the US, which guaranteed that the government of Panama would have full control of the Panama Canal starting 1999. In 1981, he was killed in a car crash. Looking at the situation today with the number of sanctions and tariffs being thrown around one has to wonder who the principle targets of the current administration are. Russia? The truth is, Russia and the US have been playing spy games on each other for years. The real targets are the emerging economies. “I have no doubt that there are economic hitmen targeting emerging economies like Turkey’s,” Perkins said in an interview to the Turkish based Anadolu Agency. But Turkey is not the only country where the US has imposed sanctions and tariffs. Currently, sanctioned countries include the Balkans, Belarus, Burma, Cote D'Ivoire (Ivory Coast), Cuba, Democratic Republic of Congo, Iran, Iraq, Liberia, North Korea, Sudan, Syria, and Zimbabwe. In today’s globalised world economic hitmen are no longer only US based. Today they may come from any number of other countries, including Russia and China. Globalisation has created huge opportunities for economic hitmen around the planet. Trump’s administration sees infrastructure as one of the key areas to boost US economy. However, the recently published Infrastructure plan has been criticised for lack of money and is highly dependent on private capital. The US is already running large deficits and the national debt now currently stands at $21.8 trillion. China, with its strong infrastructure achievements and the largest amount of foreign exchange reserves (China has by far the largest foreign currency reserves with over two and a half times more than the second largest reserve holder, Japan. When China and Hong Kong reserves are considered together, the total is $3.6 trillion), is constantly looking for low-risk long-term investment projects to achieve asset preservation and appreciation. By targeting the US, China could balance its foreign exchange levels while accelerating the rejuvenation of American infrastructure. This would also transform China into a job creator in the US. 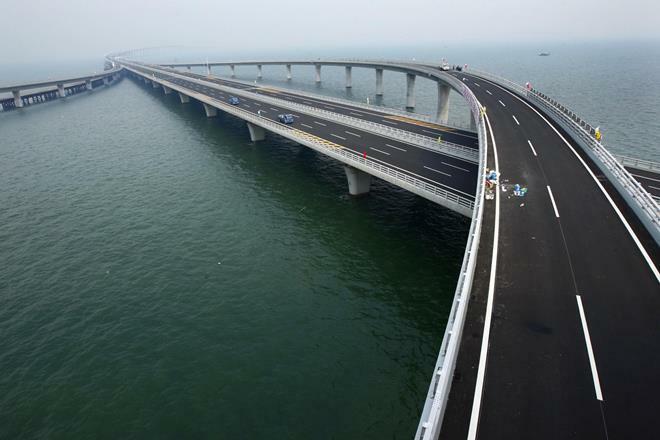 The Hong Kong–Zhuhai–Macao Bridge, 55 kilometres long. China is currently employing this strategy throughout Africa along with their One Belt, One Road initiative. China has been the largest trading partner of Tanzania for many years with some 350,000 Tanzanians doing jobs related to trade with China. Also Chinese companies have built a number of mega projects in Tanzania, including roads and bridges, creating about 150,000 jobs. 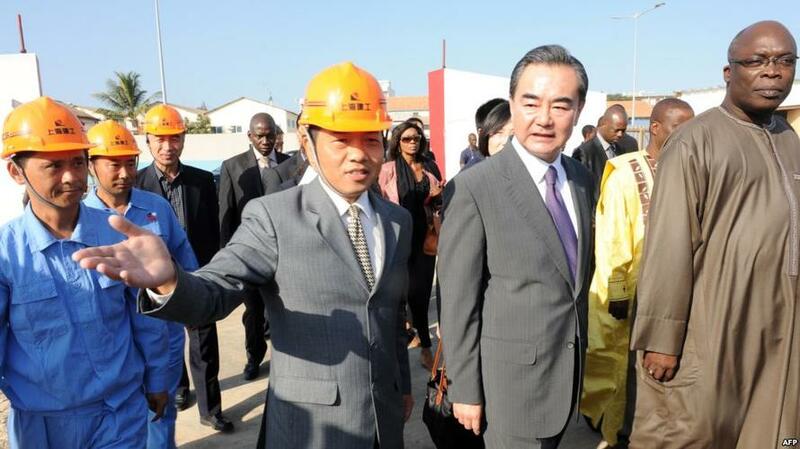 The Chinese inspecting one of their many African projects. Interestingly, on his last trip to the continent just before being replaced, Rex Tillerson said that African countries should be careful not to forfeit their sovereignty when they accept loans from China, the continent's biggest trading partner. Would Trump be open to outsourcing the development of the US infrastructure to Chinese firms? The short term boost to Trump’s reputation may blind him to the longer term complications. Could the US itself become a target of the economic hitmen?